Rachael Ray Oven Lovin' 5-Piece Bakeware Set Only $34.97! Down From $100.00! Ships FREE! 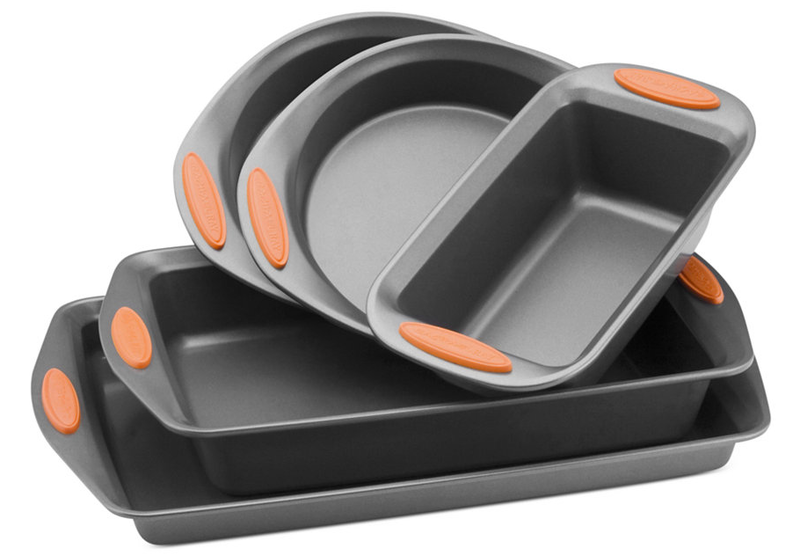 You are here: Home / Great Deals / Rachael Ray Oven Lovin’ 5-Piece Bakeware Set Only $34.97! Down From $100.00! Ships FREE! Rachael Ray Oven Lovin’ 5-Piece Bakeware Set Only $34.97! Down From $100.00! Ships FREE! Macy has this Rachael Ray Oven Lovin’ 5-Piece Bakeware Set on sale for $49.99 (Reg. $100.00) but you can get it for only $34.97 when you use promo code FRIEND (25% off) at checkout! The right size. Stocking your kitchen with the 5 most-used & most-loved baking pans, this durable carbon steel collection features a long-lasting nonstick for effortless food release & boldly colored, extra wide grippy handles for oven-to-counter ease.